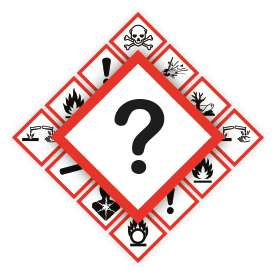 From June 1st 2015 the GHS system is mandatory for anyone who has to deal with labelling of hazardous substances. Research shows that a large number of companies have not (fully) switched to this system yet. 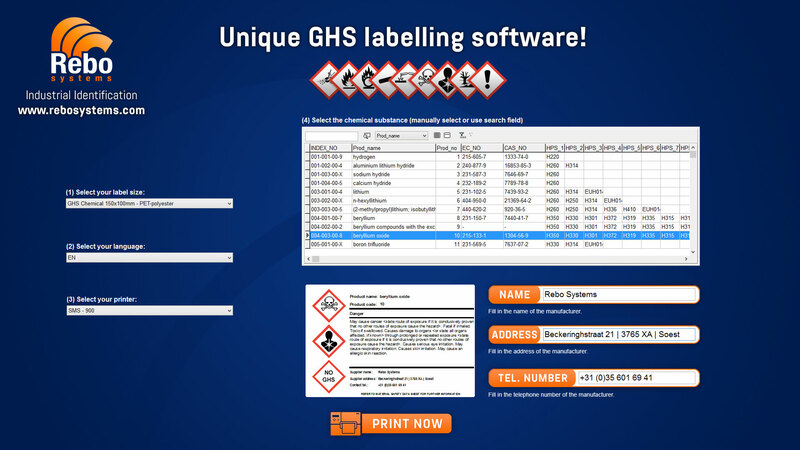 We can help you to quickly and efficiently implement this system within your organization so that you can create your own GHS labels from now on. 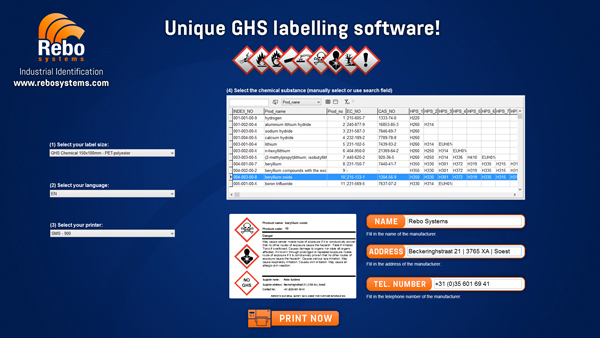 We can supply the correct GHS printing solution to meet whatever the scale of your GHS required labelling. 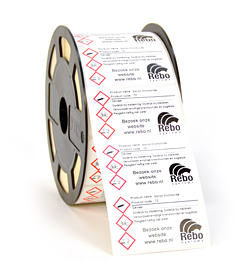 Our specialism is in the durable type of GHS labels and not the volume paper solutions. We offer polyester based label solutions for long term use and durability. Beyond the GHS requirements, we can help you mark and identify hazardous storage, hazardous environments and keep your work force fully informed and doubly protected with clear information, durable solutions and powerful yet easy to use software. 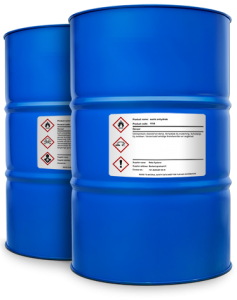 The Globally Harmonized System of Classification and Labelling of Chemicals (GHS) is an internationally agreed-upon system, created by the United Nations beginning in 1992 and as of 2015 is not yet fully implemented in many countries. It was designed to replace the various classification and labelling standards used in different countries by using consistent criteria on a global level. It supersedes the relevant European Union system, which has implemented the United Nations’ GHS into EU law as the CLP Regulation and United States Occupational Safety and Health Administration standards. By selecting your desired substance the application will instantly pick the required hazard symbols, signal words and H(azard) & P(recautionary) statements.